by myth, who can’t remember // to see as beautiful what I thought would destroy me. He is the thing that happens only once // His name wasn’t even a word. // Let him go. This entry was posted in Fragments, News & Culture and tagged D.A. 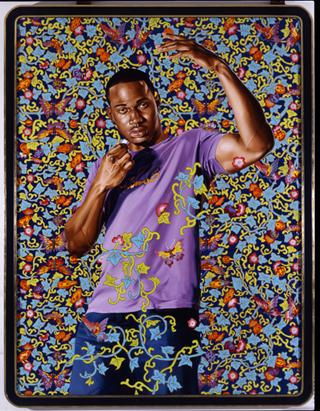 Powell, James Allen Hall, Kehinde Wiley, Mary Biddinger, Oscar Grant. Bookmark the permalink. Great work. As more literature and scholarship moves into online venues the hyperlink as a device will be interesting to explore. I applaud the effort. Adds so many more layers to the poem. i love that more people are tying hyperlinks along with their poetry posts. good work! So good it hurts. Maybe the best hyperlinked poem I’ve read, compounded by how the links can stand (and fascinate) on their own. Wow, that’s very creative! You are brilliant! I look forward to doing the writing prompt. Thanks for inspiring me.